We had a shindig at our house this weekend in celebration of Mother’s Day. It seems like we only clean our house once each quarter…either that or we have two kids who are messy and don’t mind leaving their stuff all over the place. Anyhow, we had to straighten up and do the usual cleaning stuff. 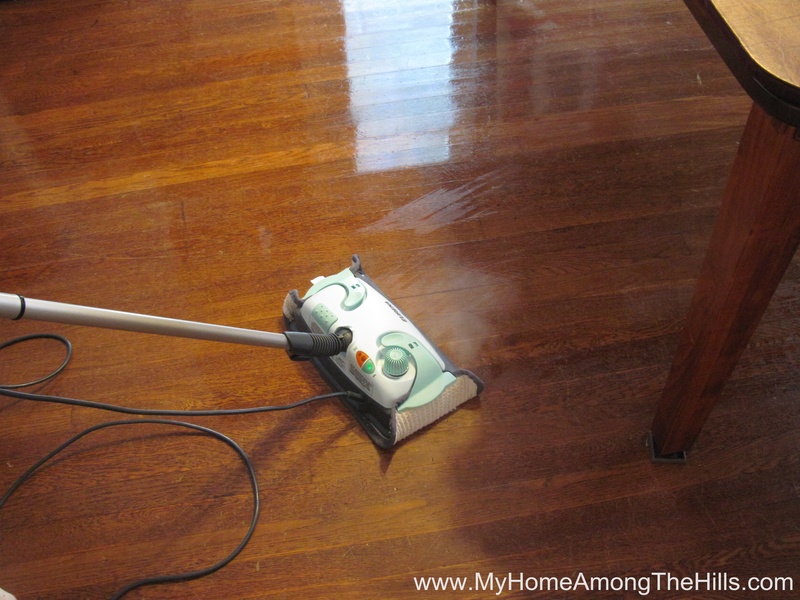 With the zoo full of animals that now live with us, we also needed to do a good solid mopping of the wooden floors. We usually use a mop and vinegary water. That works well but the house is aromatic to say the least. I refer to the smell in unkind terms which I will spare you. Vinegar is nice and all, but I prefer it in smaller doses. Anyhow, I was talking to my mom awhile back and she mentioned steam mops. She saw some demo on the home shopping channel (you know those old people…they always check that and the weather channel before going out for the early-bird 4pm supper) She has been thinking about getting one since seeing the demo. I, of course, am interested in one-upping my parents whenever possible so we bought one a few weeks ago. I read some reviews online and searched for the proper color that would best highlight my skin-tone. Finally, we decided on the Eureka Enviro Steamer. Steam mops are nice because they clean using only…steam! There is no need to use any chemicals or detergents. Depending on how you use them (and which brand you get), they will sanitize floors too. 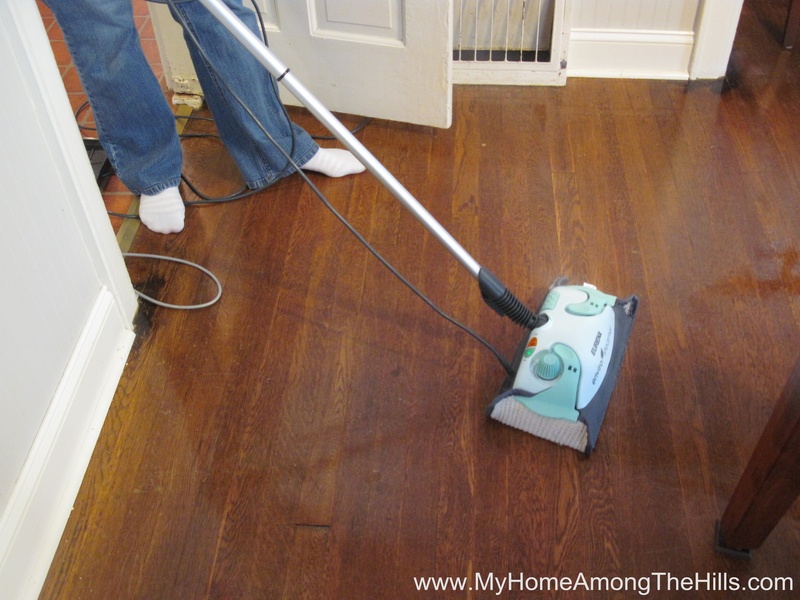 We are very happy with the one we got and it does a great job of cleaning the floors. Our hootenanny was a success and we didn’t all smell like we had been canning pickles all day when the party was over…I love you steam mop! Shortly after we received our first gas bill after moving into our house in WV, we started on the path towards reducing our energy usage. The house was built in 1939 which is apparently before anyone invented insulation as our house had absolutely none. 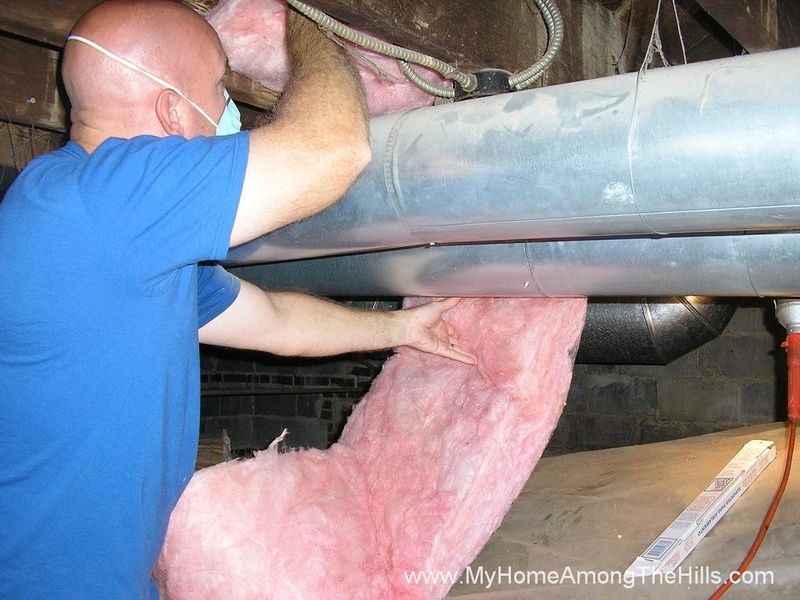 I have been tearing things apart and installing new insulation in every nook and cranny. We have replaced and sealed most of the windows and all of the little entries into the house, we replaced the ancient furnace with a new, high-efficiency one and we have installed CFLs everywhere. It has made a significant difference in our energy bills so has been well worth the effort. The family room, office and lower bathroom are the worst as far as cold goes. 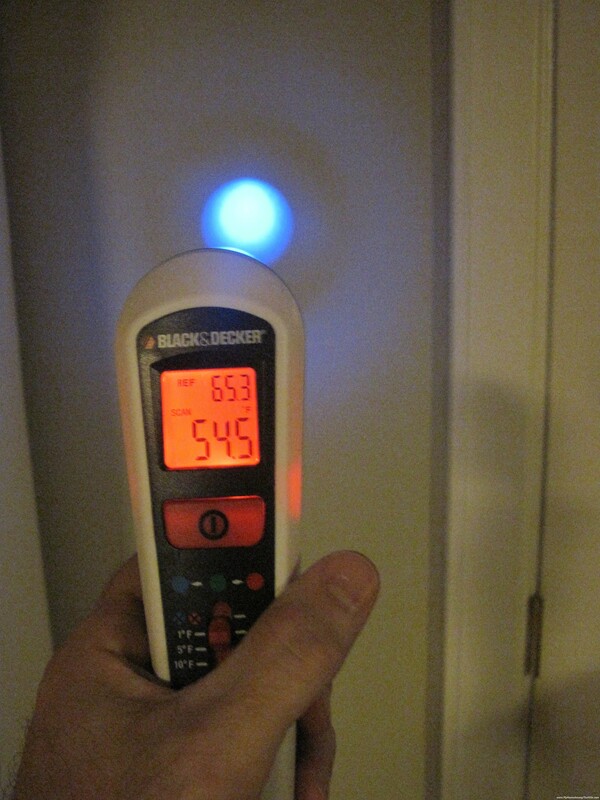 The walls are solid masonry…outside->brick->block->plaster->inside…basically a huge cold conductor into the house. We demolished the office and bathroom first and have studded out new walls from the masonry and added water-proofing and insulation. 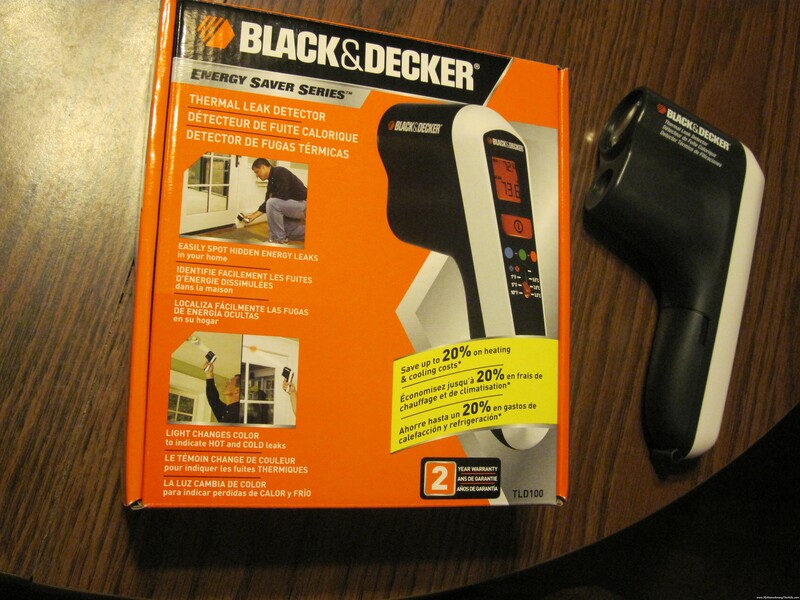 For my birthday, my brother-in-law and his wife bought me a thermal leak detector…one of those devices that can take instantaneous temperature readings from a distance. So, now that I have the office studded out and insulated, I thought it might be fun to compare the wall temperature of the new area with the uninsulated space of the rest of the area. The entire area is basically unheated now as we are working so I suppose the difference would be more significant if we separated the areas a bit more and actually heated the area properly. 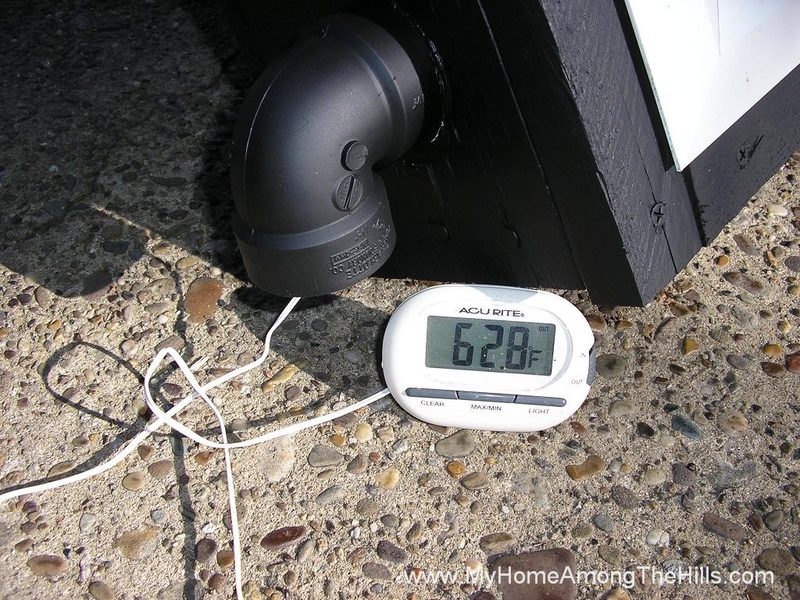 Anyhow, in the new area, my temperature reading was 64.7 deg F. Not more than 5 feet away, I took a reading on the uninsulated part which was 54.5 deg F! So, without separating the areas much at all, I can still see a 10 degree difference! I took some additional readings which I thought were interesting. 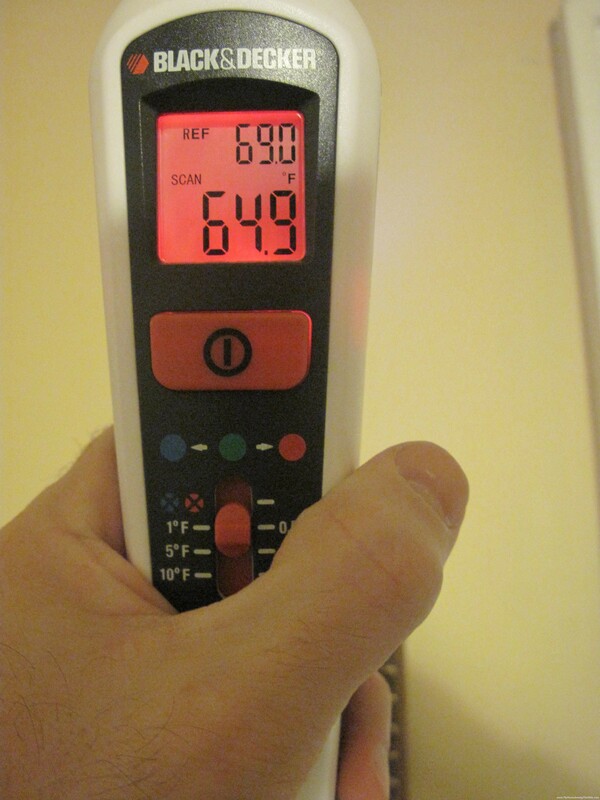 In our bedroom, we suffer the same problem as the other rooms…the walls are uninsulated. Although the are made of different materials, none of those materials is warm! So, I took a reading on the bedroom wall which was 64.9 deg F. I then moved to the new insulated window that replaced the old fashioned original windows. 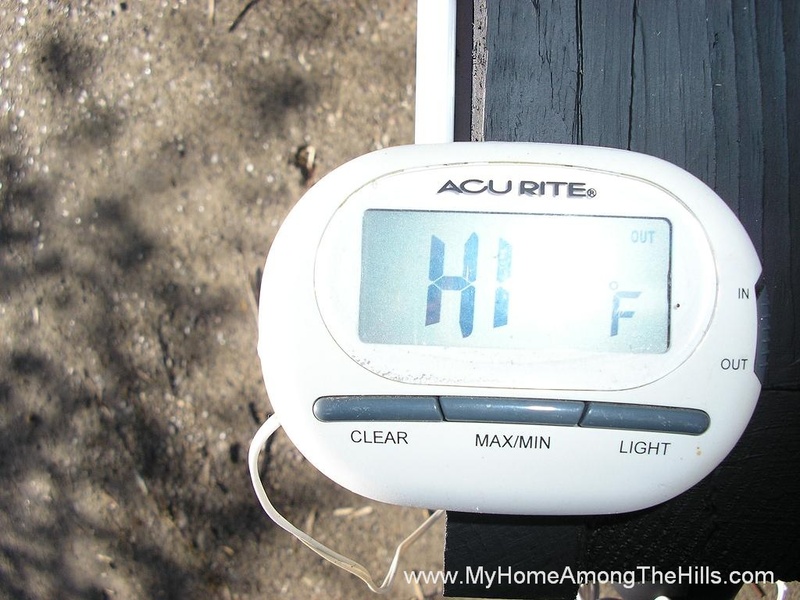 The temperature of the window (windows are generally considered not to be great at keeping cold out) was 70.8 deg F! 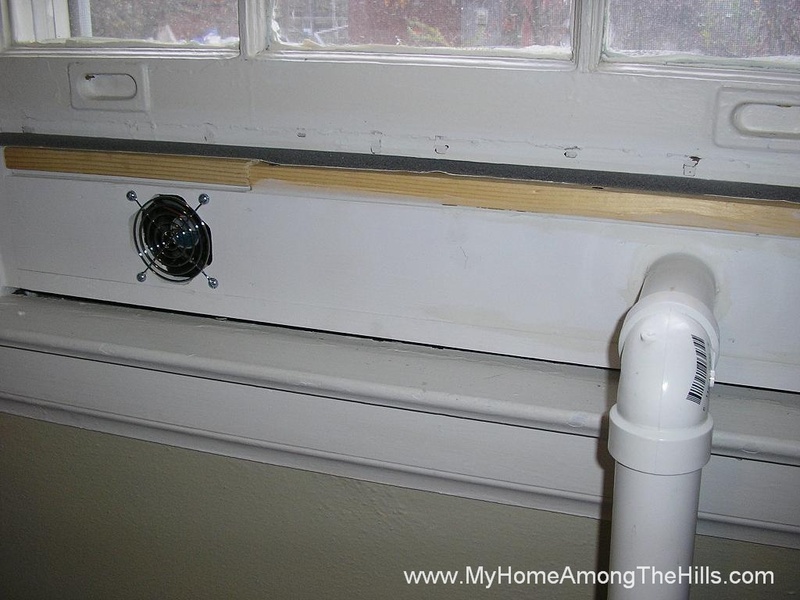 I couldn’t believe the window was a better insulator than the wall! So, I am certain now that the insulation projects I am doing are beneficial and the new windows I installed are well worth the money! So what about you? Ever quantify changes you’ve made to your place? 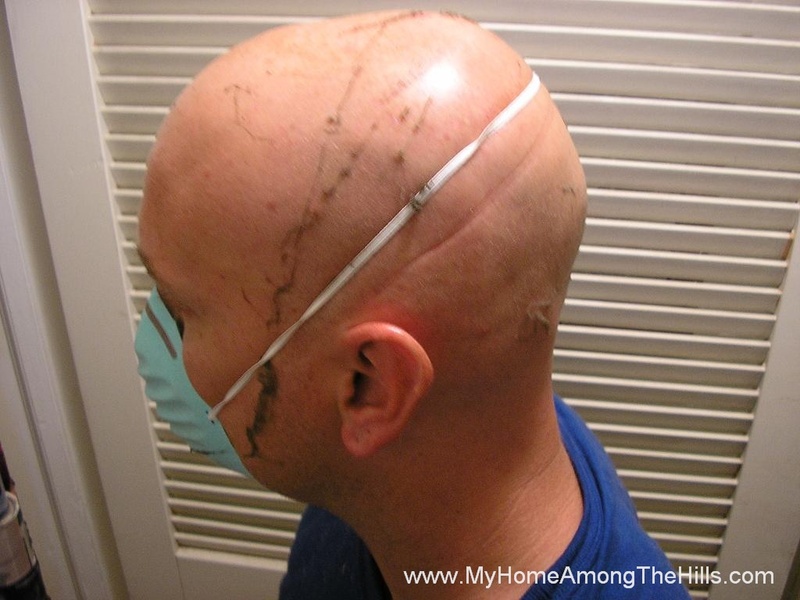 Have any good insulation stories to tell? I volunteer a bit of my time each week at Emily’s school. There are a number of folks who work with individual kids on numerous topics. I met a student who is interested in green energy so we are studying green energy topics. In particular, we are building green energy sources or projects that use said sources. In other words, we are building a generator like what might be used in a windmill. We also plan to build a solar battery charger to keep my student’s portable video game system charged. Part of my goal, of course, is to teach my friend about electricity and windmills and solar power, but a part of my interest is expanding my understanding of the topics as well. I remember back when I was in 4th or 5th grade. We were messing with electricity (and not in the back of the classroom with paperclips and the wall socket) and learning how it works. I remember one assignment for extra credit was to build an electric motor. My Grandpa and I spent hours trying to figure out how to make one work. We tried all sorts of combinations and variations but could never make it spin. So, as a part of learning about electricity and generators, I decided we needed first to build a motor. A motor, of course, is sort of like the opposite of a generator. Put power into a coil and it will spin. 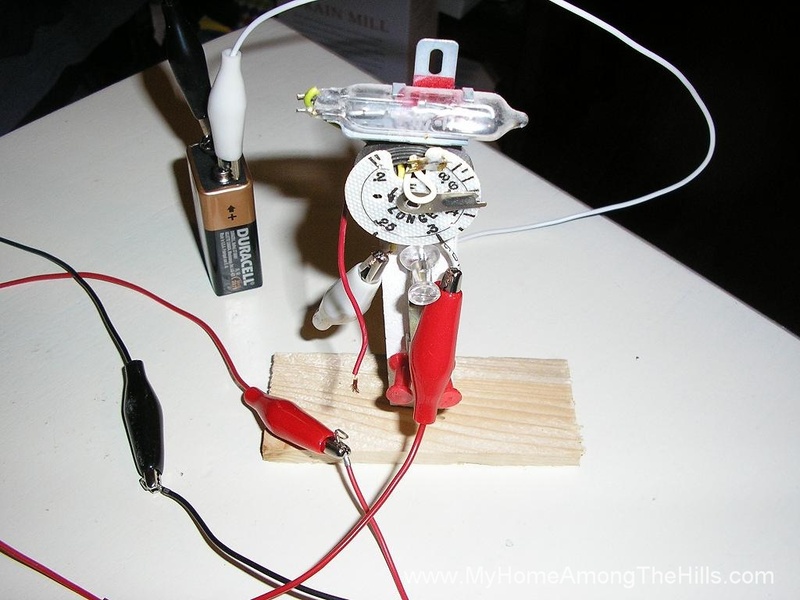 Manually turn the coil and it will generate electricity. Anyhow, it seems that building a motor is relevant to learning about generators. This had nothing to do with my long-standing feelings of inadequacy regarding motor building…no indeed, this was all about educating my student. It’s about the kids, right? Ok, so I think it is pretty neat too. So…here’s what we did. 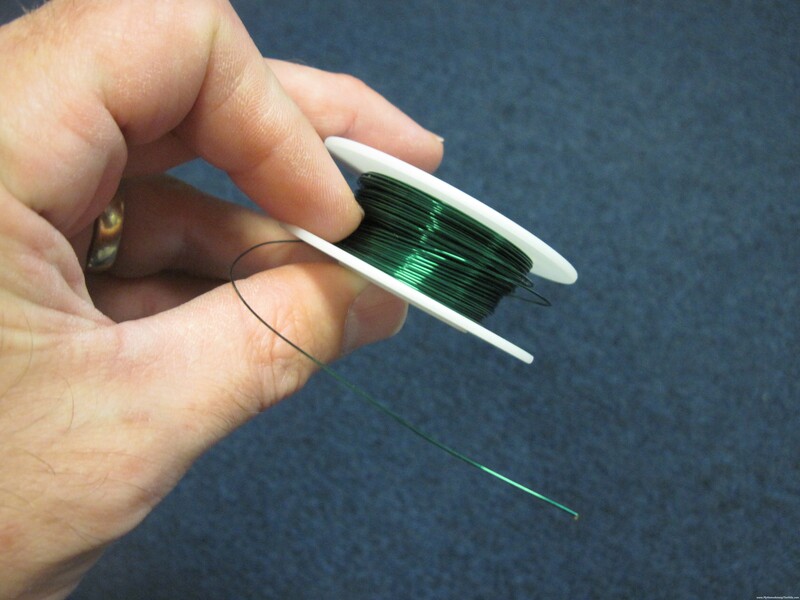 I bought magnet wire from Radio Shack (now, they are calling themselves “the Shack”…yeah, that’s more hip). 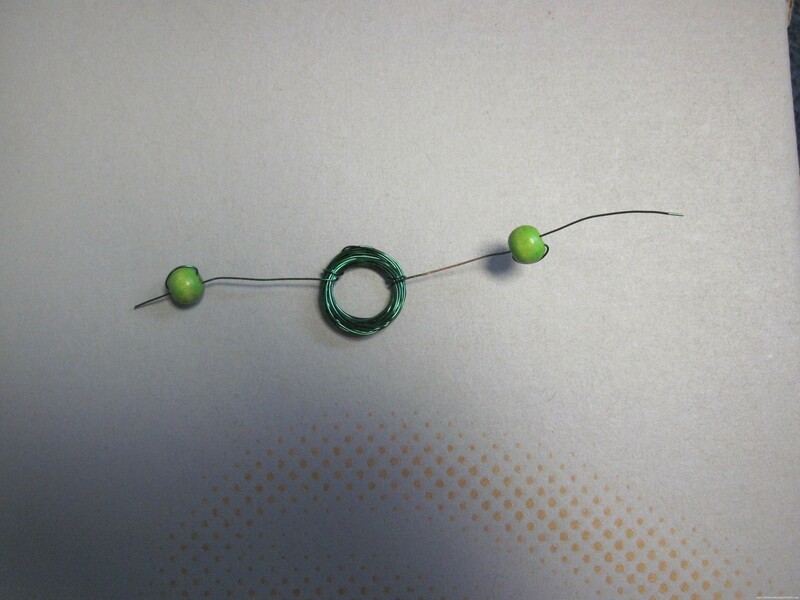 Magnet wire is just copper wire with super thin insulation. We used a middle weight wire…the green stuff. The package that The Shack sells has three colors/weights. 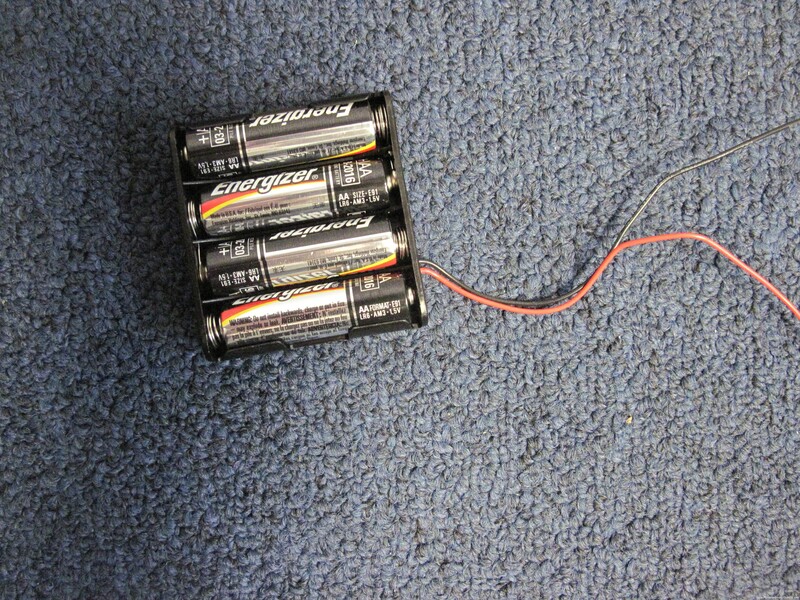 We left a six inch tail and then wrapped 30 turns of the wire around a AA battery that we were planning to use to power the system. We left a 6 inch tail on the other end as well. In order to make sure the coil stayed together, we wrapped each tail around the bit of coil on each side. Basically, I just took the tail on each side and ran it through the middle and back out 2 times to hold the coil on each side. 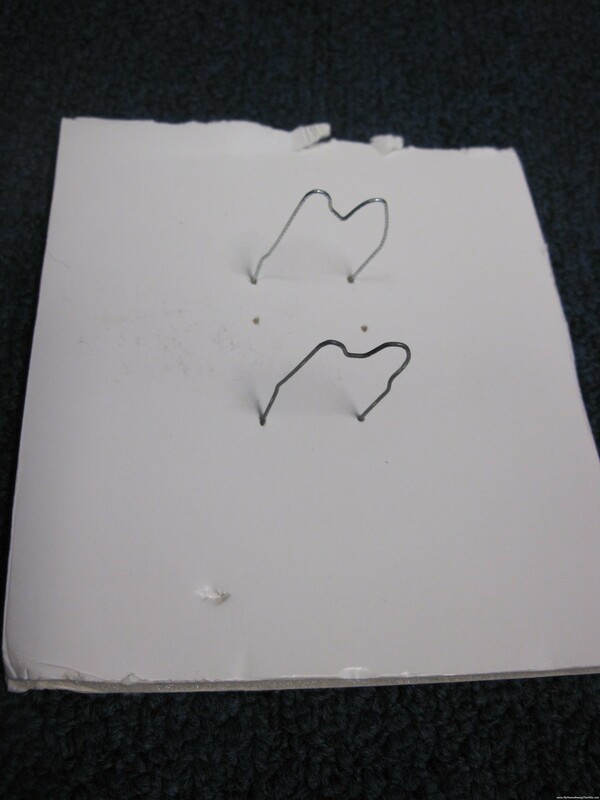 We bent a few paperclips (you could use any conductor) to hold the coil and put a few magnets between the paperclips. Since our motor has magnets vertically placed (i.e. not on the side), we had to hold the coil straight up and down with the tails sticking out to each side. I stripped the insulation off of one tail the entire way around the wire. On the other tail, I stripped only the top half of the wire. We hooked a few beads to each tail to dampen vibration (which we learned was necessary). Regarding magents…I just bought run of the mill magnets at a big-box home improvement store. Bigger, badder magnets would change the dynamics of the motor for sure! 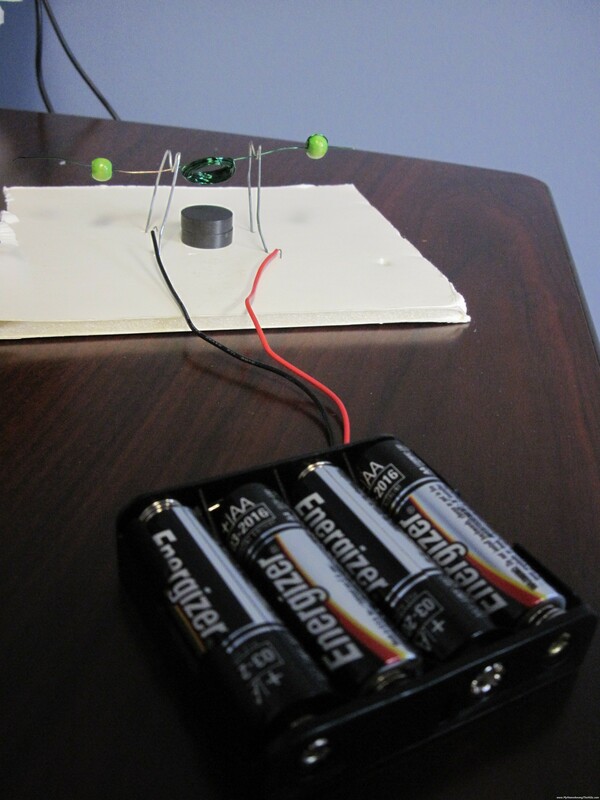 Once we hooked the battery pack to the paperclips, we dropped the coil onto the paperclips and gave it an initial spin. It quickly “catches” and starts spinning like crazy! You can imagine, I danced like Brittney Spears…only without the nastiness. I made a motor! I made a motor! I mean…We made a motor! We made a motor! No longer am I burdened by 5th grade motor-failure-angst! We both had a good time just watching it spin and it was educational indeed as it was a perfect segue into generators (I knew it would be!). Next week, we’ll start tinkering with our first generator. I am so excited! We’ve been a 2 car family for some time. I typically drove the tan colored Dodge man-van and Emily drove a green Chevy Lumina. The van was fairly new but we had the Lumina for awhile…it was 10 years old and starting to get wrinkles and excess gas. I mean that…the old girl had a few dings and started smelling like gas. We did our duty and took her to the mechanic to find the gas leak problem. They spent all sorts of time (and all sorts of our money) looking for the problem to no avail. We coped for awhile but finally decided that our family going out in a fiery car crash was not the way to go (at least until I get much older). We started doing our homework and decided we needed a few things in our new car. First, we needed space for Isaac to grow. He’s becoming gigantic with no signs of a slowdown in the near future. He wears the same size shoes as I do (he’s 9) and he’s approaching Emily’s height. I didn’t want the backseat to be too large though. Isaac will be driving before too long. Enough said. We also decided we wanted a car with all-wheel drive. Winters here aren’t awful, but we do definitely get snow and it can be a problem at times. Safety was important because we figured Isaac will learn to drive on this car. By the way, 15 year olds should not drive. It’s crazy! And boys especially should not drive until they are 30. I once was a boy and I remember some of testosterone induced stupidness of 15 to 30 year olds. Finally, I wanted a car that polluted as little as possible and got good gas mileage, etc. 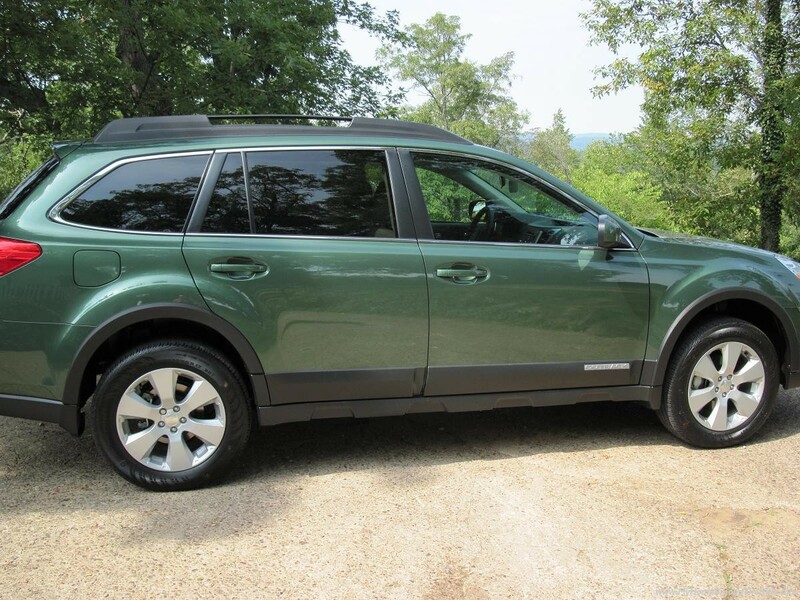 We looked at the Honda CR/V, the Toyota Rav/4 and the Subaru Forester. We didn’t like any of those options for various reasons. 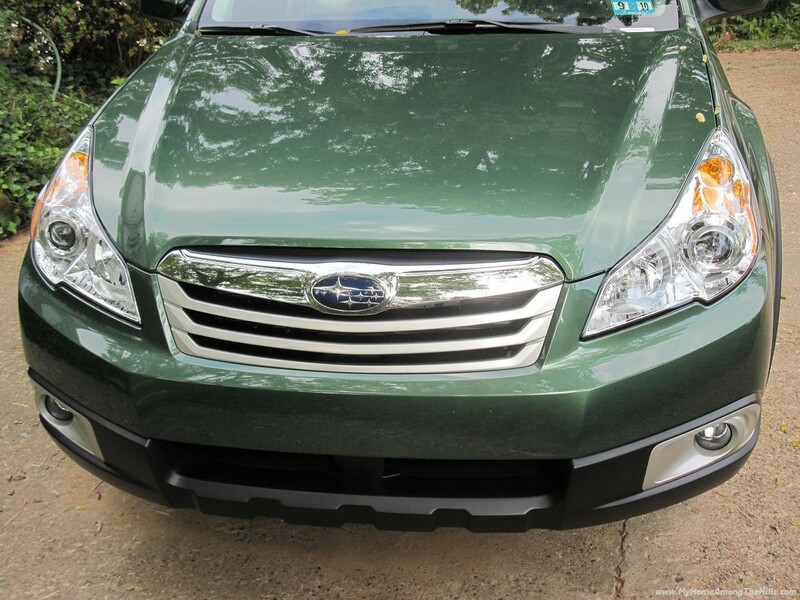 While we were at the Subaru dealer, we spotted an Outback that was beside the Forester on the showroom floor. It looked cool. We decided to drive the Outback and that was all she wrote as they say. It had all those things I mentioned above plus heated seats! There were a few other cool features that made it even better…it is a PZEV car (partial zero emission vehicle) which means there are times when it runs that it release no emissions. 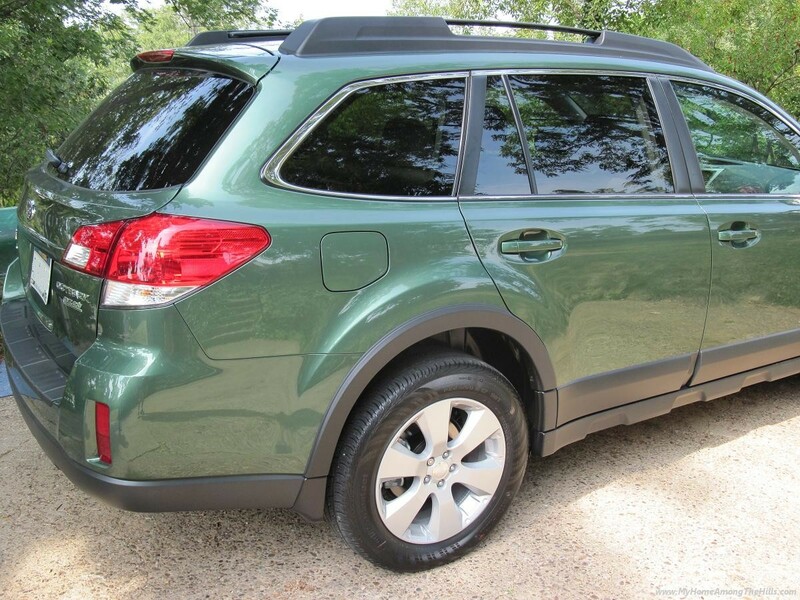 It also has a continuously variable transmission (CVT). The details are fairly interesting but let’s just say it is heavy on cool and also enhances fuel economy. So we drove Steve home. You see, like many people, we name our vehicles and this one is named Steve. He’s green and he’s green. We like Steve! First of all, I discovered that the mercury switch was not sensitive enough to really work. The cold air outside was messing up the way it functioned. 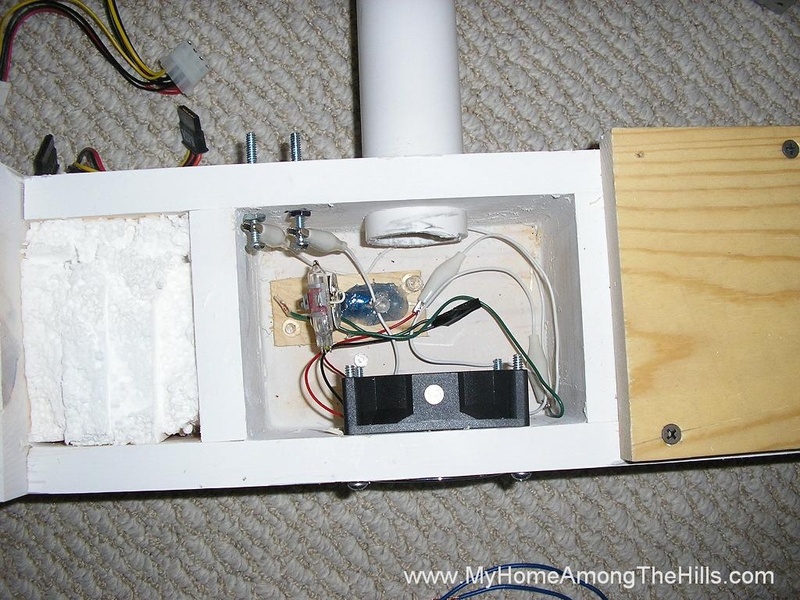 I could not insulate the part of the air box where the switch was since the switch has to be able to move (if you’ve never seen the setup, a mercury switch is placed on a temperature sensitive metal coil which moves and allows the mercury to open or close the switch). I decided to experiment with wiring the solar panel straight to the fan which actually worked very well. The fan only came on when the sun was out and shining pretty brightly which was precisely when the best heat was being made. The pipes that run from the furnace to the house were white originally but it seems that enough cooling took place in the pipes to make the system not work as well as I had hoped. I painted them flat black like the rest of the system and it worked like a charm. The pipes absorbed heat from the sun while transferring the heat through the system, thus helping with the whole “hot air rises” thing. 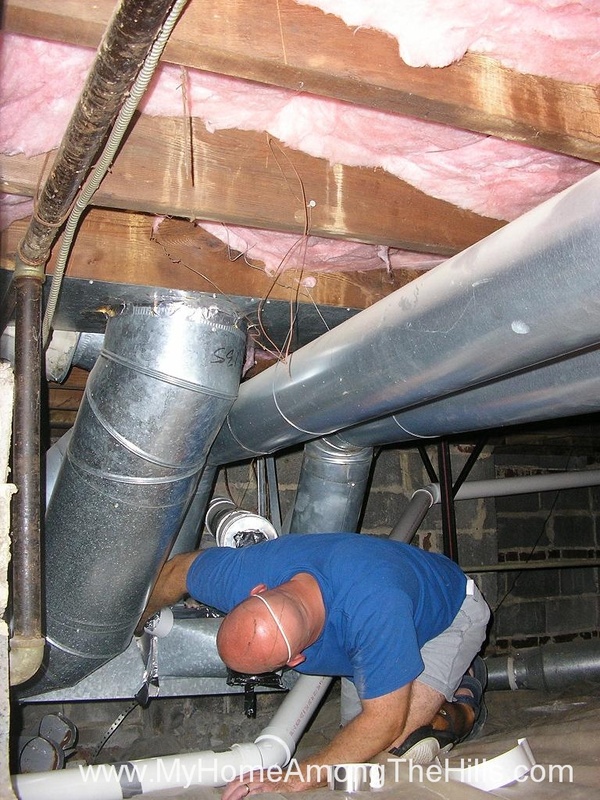 I also discovered that I had a few air leaks around the pipes and in the holes for the air pipes in the furnace. I used silicone caulking (which will actually cure in about any temp regardless of what the instructions say) to patch all of the holes/gaps/leaks. Once I made those three changes, I took temperature measurements of the cool air pipe from my family room floor and the warm air pipe from the furnace. My floor air was 63 deg F and my warmed air was 84 deg F! Hee-haw! Eureka! Ding Dang, y’all! Ok, so I was pretty happy with the results. The fan kicks on and off with the sun which manages the heat pretty well. I still need to boost the power to the fan to get a little more air flow. I did some experimenting and was able to get a better temperature rise with a bit more air flow. I will probably add another cheap-o solar panel to run the fan better. I also need to find a better way to prevent backflow. I really don’t like hanging a piece of plastic in front of the vent. For now, it is working but I don’t like it as a long term solution. I have glass to build one more furnace so I will probably build it out then figure out some way to deal with both systems. Anyhow, for now, I am pleased with the solar furnace! I last posted a week or so ago about my solar furnace. I mentioned that I needed to install the system in my window and get the fan/thermostat working. Well, my friends, wait no longer! 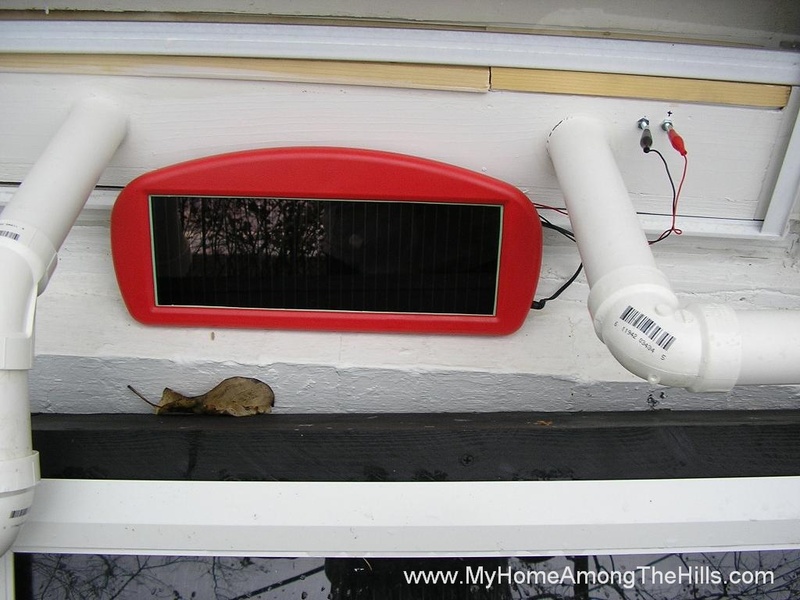 This weekend I finished the installation of the solar furnace and even powered it with a small solar panel…but I am getting ahead of myself. My downstairs family room has 5 windows, 3 of which face southward. A south facing panel is optimum because it gets sun almost all day as the sun progresses across the sky. I read that 20 degrees from due south results in a 5% decrease in performance. Luckily I have south windows but if I didn’t have due south, I would still try the furnace. A 5% decrease would still make things interesting. In addition to the direction, you have to consider the angle from horizontal of the panel so that it gets optimum sunlight in the winter when the sun is lower in the sky. I have read various thoughts on the optimum angle but the easy one for me to remember is “latitude + 10”. Here in Charleston, our latitude is 38 degrees. According to this calculation then, the optimum angle from horizontal is 48 degrees. 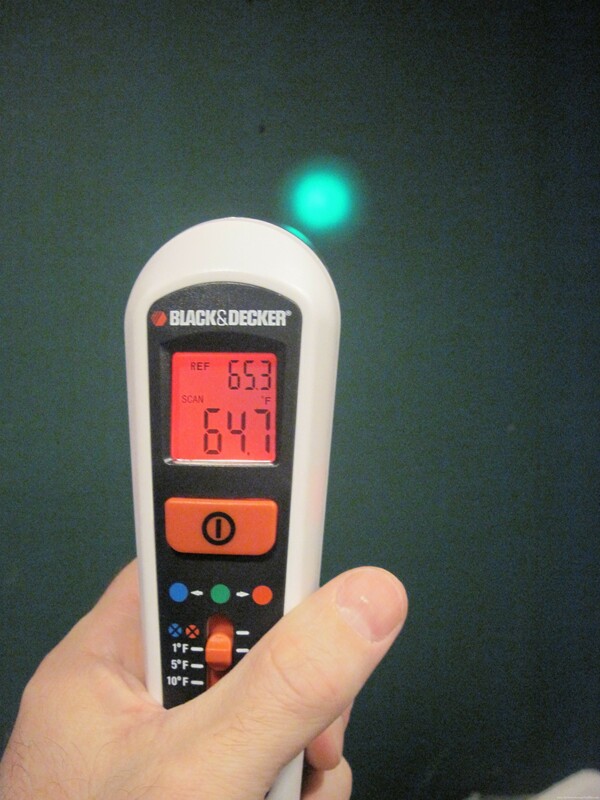 Using my trusty eyeball, I leaned the solar panel along the south wall of my house and tilted it at precisely 48 degrees. To be more exact, you should consider doing a site survey to make sure you really have things right. I will probably just mess with it until it gets the best sun. In a more permanent installation, you would want this to be much more precise. Mine is easily movable. Anyhow, I built a box (which I insulated) to run a warm pipe and a cool pipe through my window. 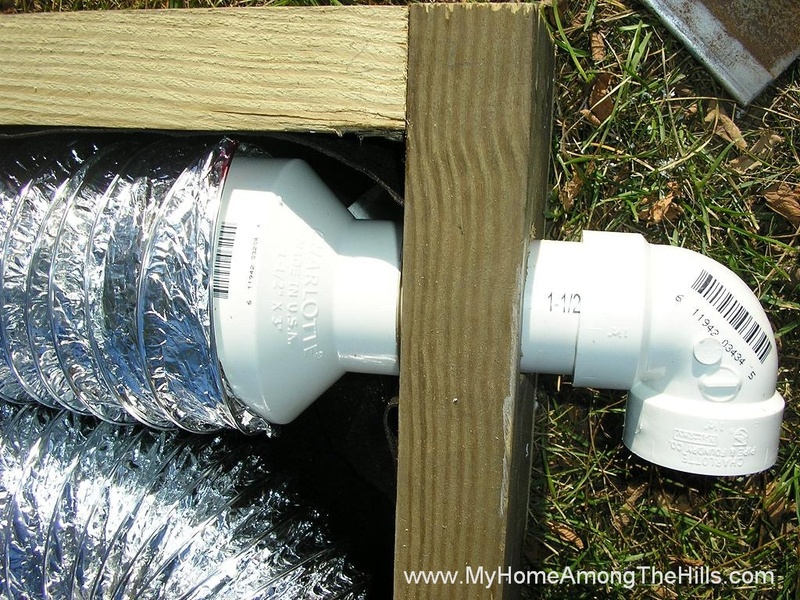 The thermostat and fan are inside the warm pipe inlet so the warm air should automatically rise and slowly flow across the thermostat. 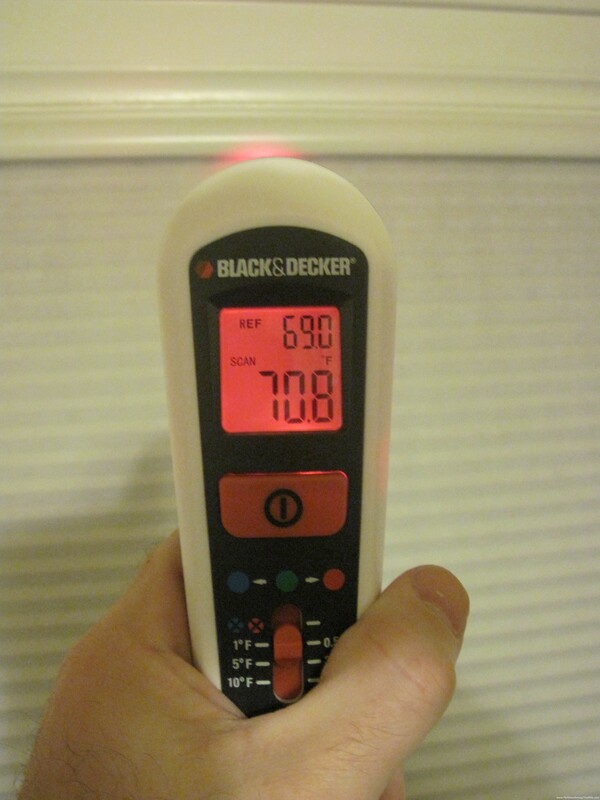 The rise in temperature should kick on the thermostat/fan and move the air a little better through the system. As the warm air evacuates, it will cool the thermostat and turn off the fan. I mentioned in the last post on this topic that I could not drive the fan with a super cheap solar cell. I was rummaging through the junk bin at the office when I found a pair of fans (actually, quite a few fans) that were lower amperage than my original one. Anyhow, my new fan is rated at 12 volts and 0.16 amps. I know it will run at 9 volts so I figured I needed a solar panel that would produce 1.44 watts (i.e. 9 * 0.16). Harbor Freight sells a solar panel used for trickle charging auto batteries for $19.99. Actually, the website has it for $14.99 but in the store it is more. If I would have taken the printout to the store, they would have reduced the price. Apparently the store and website are somewhat independent. I didn’t have a printout and it wasn’t worth driving back for it so I paid $19.99. Ok, back to the story – it will produce 1.5 watts which will run my new fan. I don’t know if it always just produces 12 volts and the amps vary (because it produces differently depending on the strength of the sun) or if it produces 0-12 volts and constant amps, etc. All that is to say, I don’t know exactly what wattage is driving my fan but it turns it. It occurs to me as I write this that I should measure the output with my mulitmeter…but really, for now, I don’t care. The fan turns fine in sun and that is my main goal. Unfortunately, the fan will not blow the dryer vent louver open. 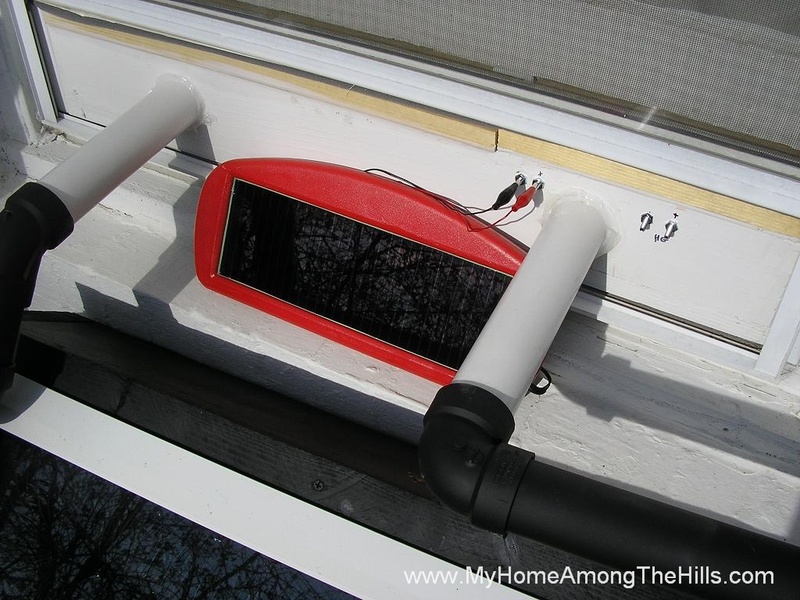 I had planned to use a dryer vent to close the inflow when not in use. I will have to resort to the “plastic over the hole” method I mentioned in the earlier post, to prevent back-siphoning. And let me tell you, back-siphoning is real and a problem if you don’t deal with it…I quickly learned a lesson on that topic! Ok, lots of words to describe all this. The only problem is, I have not had a sunny day since I got this thing installed. I wanted to post about this progress but I don’t have any real results yet. I will have to post again with results. I know it will make a difference, but I don’t know the extent. Stay tuned! In an effort to make our house a bit more comfortable and to save on the energy bill, we have begun to add insulation to the crawlspace of our 70 year old house (which is otherwise uninsulated for the most part). Our place is very odd in design. We have a many levels in our house and all sorts of nooks and crannies. Half of our basement is walk-in and finished while the other half is sub-surface and unfinished. Even within our basement, there are two levels. The crawlspace in question is under the formal living room and dining room and measures 33×13. That’s lots of words for “it’s a pretty big space and pretty dang cold in the winter”. So, we headed to the home repair place to get insulation. Abigail saw all of the pink and some of the blue foam insulation and insisted on getting pink (which was the appropriate type for our application luckily!) So, I have been installing insulation in the crawlspace of the house. In spots, I have 5 feet of headroom while in others I have 18 inches. Of course, I don’t think anyone has dusted under there and spiders have enjoyed the landscape. I came out several times to breathe, covered in cobwebs. My bald head somewhat attracts them I guess, though I prefer bald to hairy in that situation. I also discovered that one branch off of the main trunk from the furnace was unconnected and heating the crawlspace. No wonder I have cold spots in the house! Anyhow, I reconnected that and sealed it up so that it works as it should. I have lots more to do but I have not yet worked up the courage to venture into spiderland again! I expect the weekend will see me back fighting the arachnid army! Earlier this week, I posted about my solar furnace project. I can’t take all the credit for the idea of a solar furnace as they have been around for a long time. Most of them seem to be passive – relying on natural motion from the warm air rising through the system. This sort of air flow is not typically very strong (though it can be), so cannot open a louver or check valve. Just leaving the hot air pipe open is an option though physics will bite back at night or when it is not sunny outside. 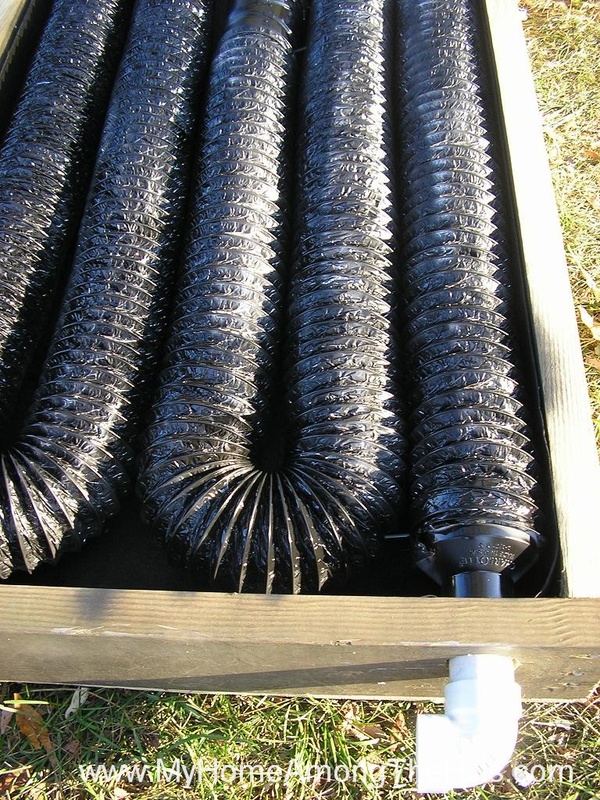 Just as hot air rises, cool air sinks so at night, warm air will syphon from the house backwards through the system. Some folks drape a piece of plastic over the warm air output so that the warm flow blows the plastic open a little. Cool air cannot flow back through the plastic, supposedly. All that sounds nice, but I cannot be satisfied with simplicity when I can further complicate things with technology. Being interested in saving a buck and doing the right thing energy-wise, I replaced our old thermostat with a digital programmable one a couple of years ago. 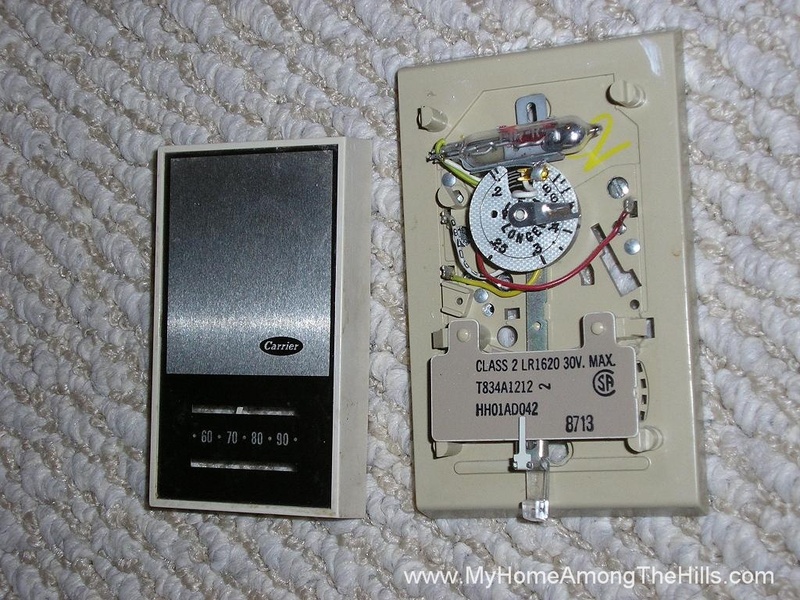 I noticed that the old thermostat had a mercury switch so I didn’t want to just throw it in the trash – instead I kept it in my stash of junk…and lucky I did. This project is prime for my sort of junk. I stripped the mercury switch and the bi-metallic temperature wire from the thermostat and connected it to an old computer fan. I am building a box that will contain the thermostat and the computer fan. 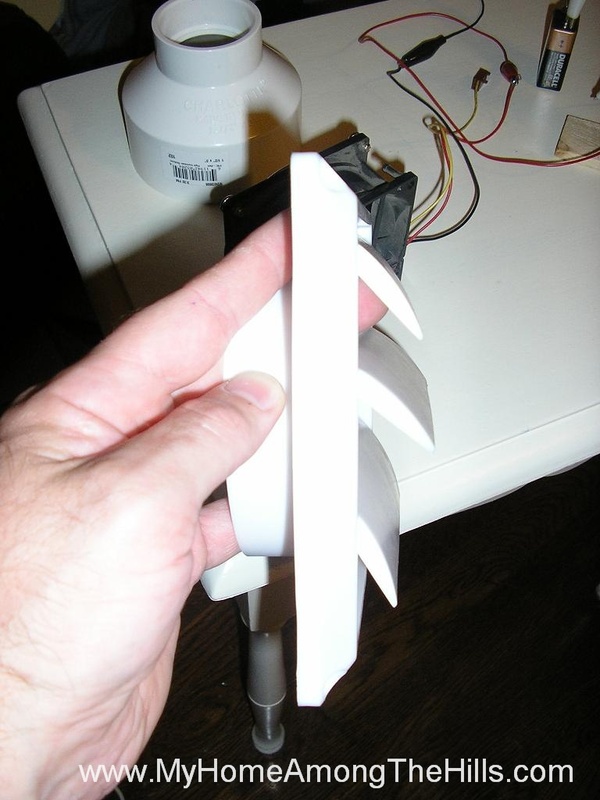 The fan will pull warm air from the furnace across the thermostat. While the air is warm, the mercury switch will turn on the fan which will blow open the dryer vent (that will prevent cold-air backflow) and send warm air into my room. Initially, I had planned to power all of this with a solar panel. 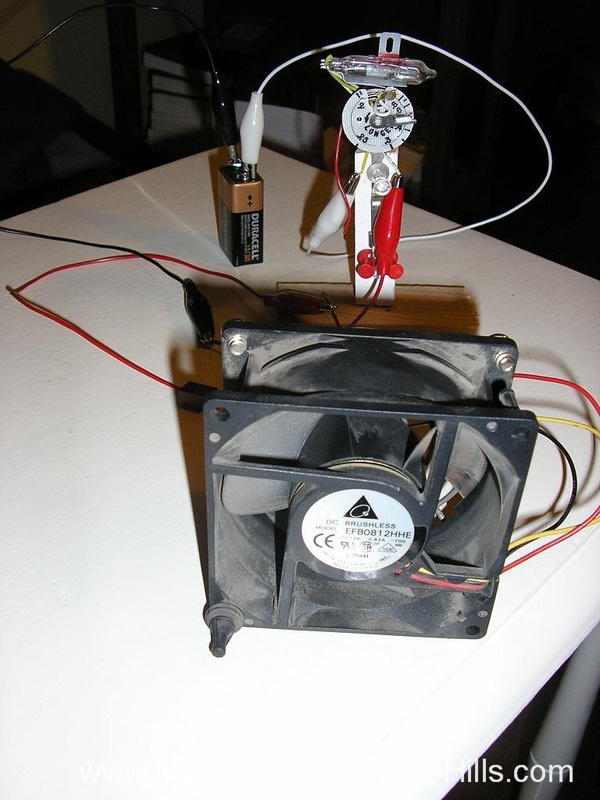 My fan is a 12 volt, 0.62 amp fan (though I ran it just fine with a 9-volt battery). To drive the fan directly from the solar panel (at 9 volts), I would need a 5.58 watt panel (watts = volts * amps). I may be able to get away with a little less but the cost of a 4-6 watt solar cell would still cost somewhere around $50. I have various 9 volt wall-wart transformers from old gadgets that I no longer need. For now, I will just drive this system from wall power. At 9 volts, when the fan is on, it will draw around 4-5 watts – about the same as a nightlight. I can live with that. My plan is to get all of this hooked up and running this weekend. I will post again with the final project. It is supposed to be cool this weekend so I guess the timing will be right! Spammers have been attacking this page so I have turned off comments. If you would like to have a discussion, please post on one of the other solar furnace posts or send me an email message. My contact info is in the “about/contact page”. Sorry for the inconvenience. Being a cheap-skate, I am incredibly excited about doing anything I can to put a little extra green in my pocket. 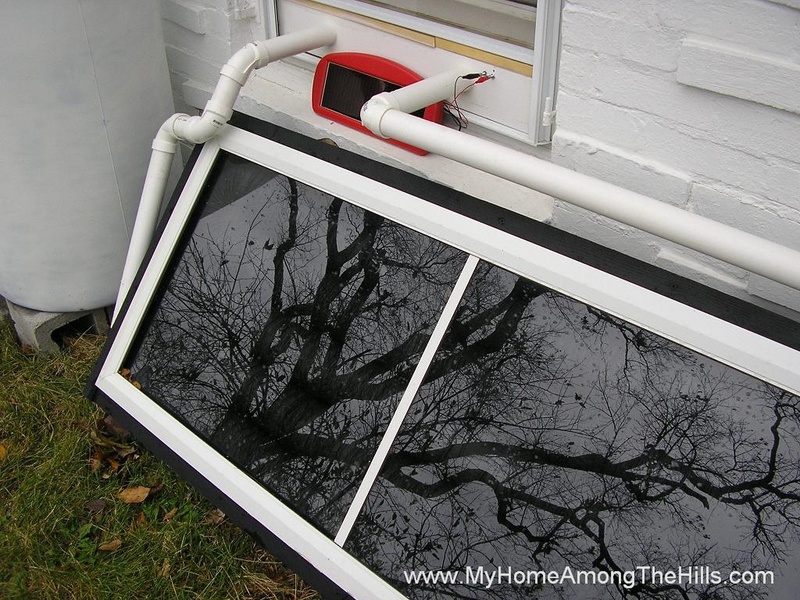 I have been looking online and thinking a lot about making a solar furnace to supplement our home heating. We happen to have replaced 2 screen doors with full-length windows so I was presented with a couple of large pieces of tempered glass. 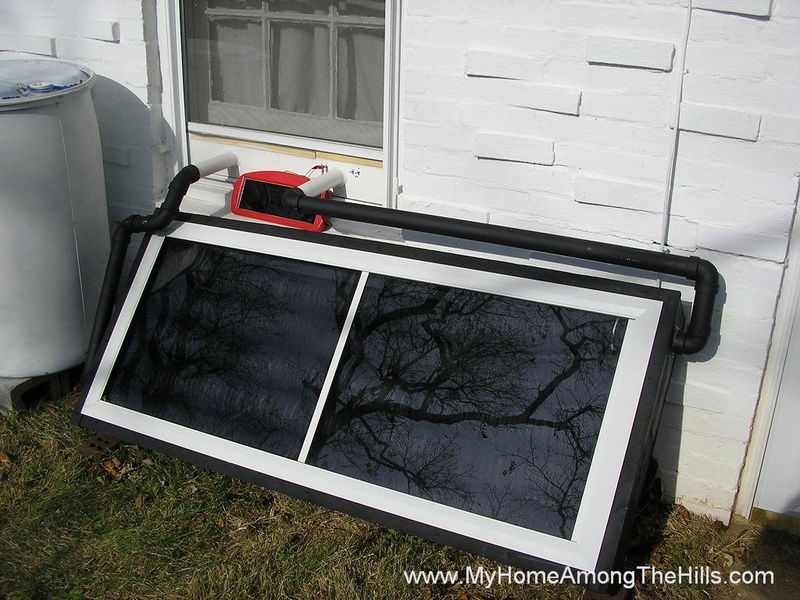 You can look around online for solar furnace or passive solar heat and find tons of additional information, but basically, these things work by capturing heat and using the principle that hot air rises. 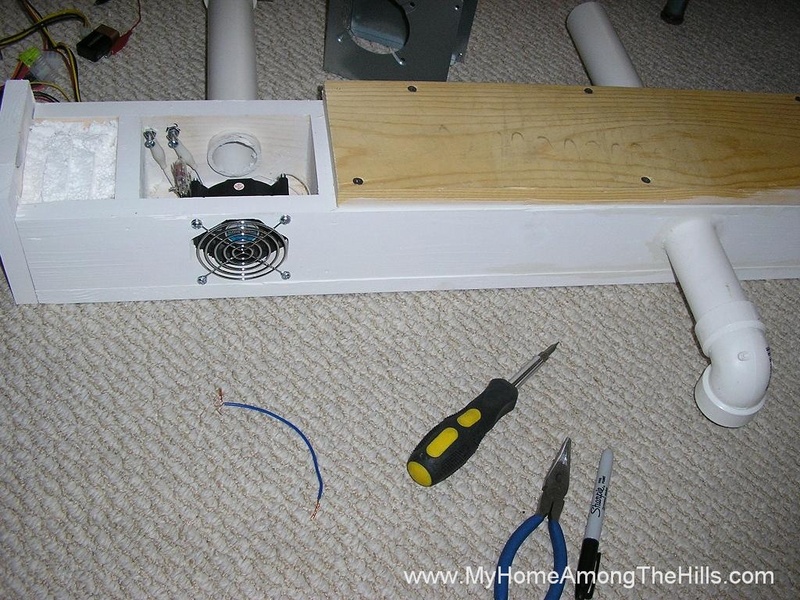 I snaked clothes dryer exhaust tube side-to-side through an insulated (with sheets of styrofoam insulation) wooden box. 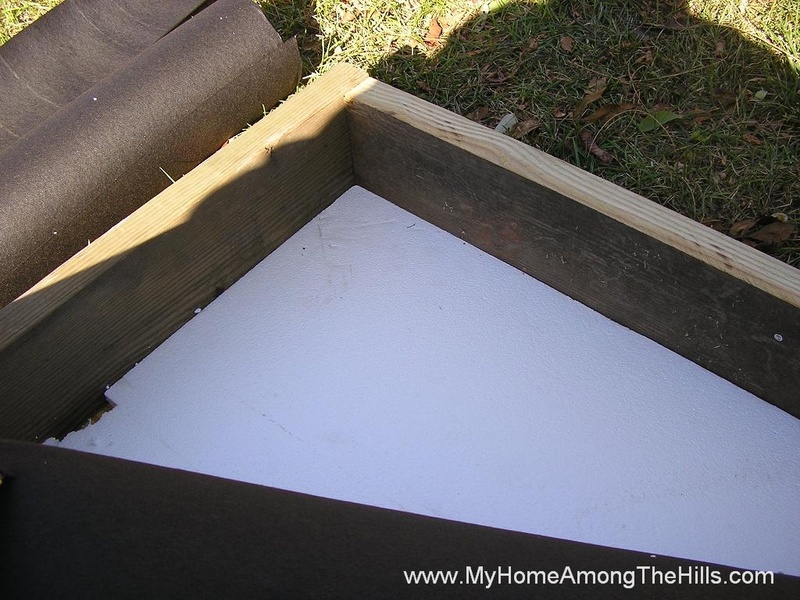 I covered the insulation with roofing felt to make the inside of the box black (plus I knew roofing felt would live through high heat). 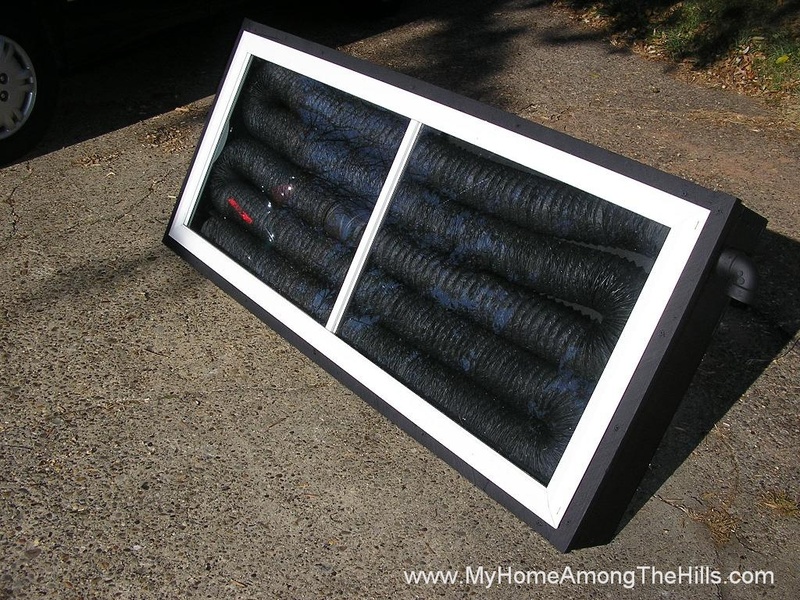 I painted the box and the dryer hose with flat black paint so it absorbs heat very well. Cool air from my family room floor is pulled in to the bottom of the system. The sun heats it as it sits in the tube. The heating causes it to move upward eventually running back into my family room at about waist-high level. This version does not show a blower on it yet so air flow depends purely on the principle of hot air rising. I am working on a version that uses a small fan powered by a solar panel to move the air. I’ll post more on that later as I get the details worked out. Anyhow, for the results…I set this in the sun at about 4:30 one afternoon. The input temp was stable at 62.8 degrees F. I then measured the output temp. 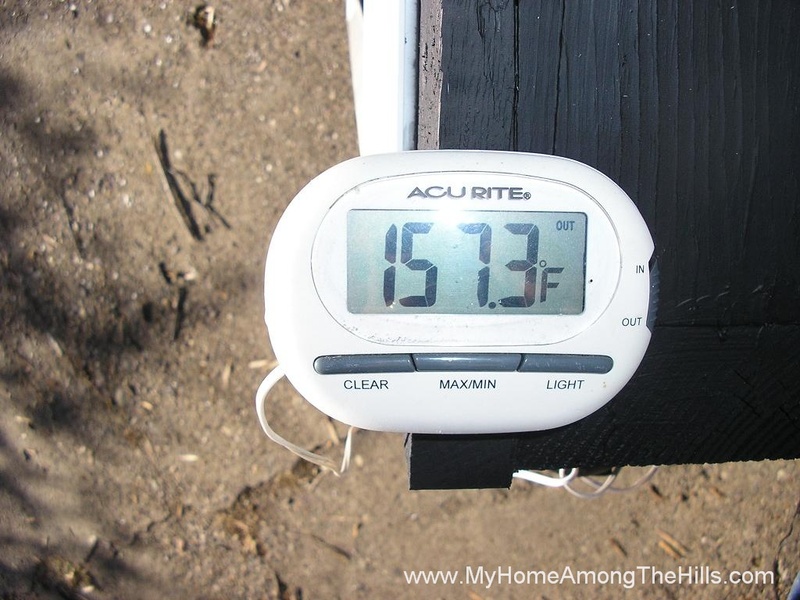 I could not believe it but my digital thermometer maxed out when the temperature got over 160 deg F. The last picture I took before it maxed out was at 157.3 deg F. I have no idea what the temperature actually got to but I saw at least a 100 deg F temperature differential! Appalachian Power has started a new program where customers can purchase renewable energy credits (RECs) to offset their carbon footprint. Renewable energy credits are created whenever a renewable energy generator makes power from renewable resources. Basically, when a wind generation station sells power to the grid, it generates these credits which are certified and sold to individuals or entities like AEP. Credits are unique so when I purchase RECs, I know that the power we bought was generated at a renewable source. 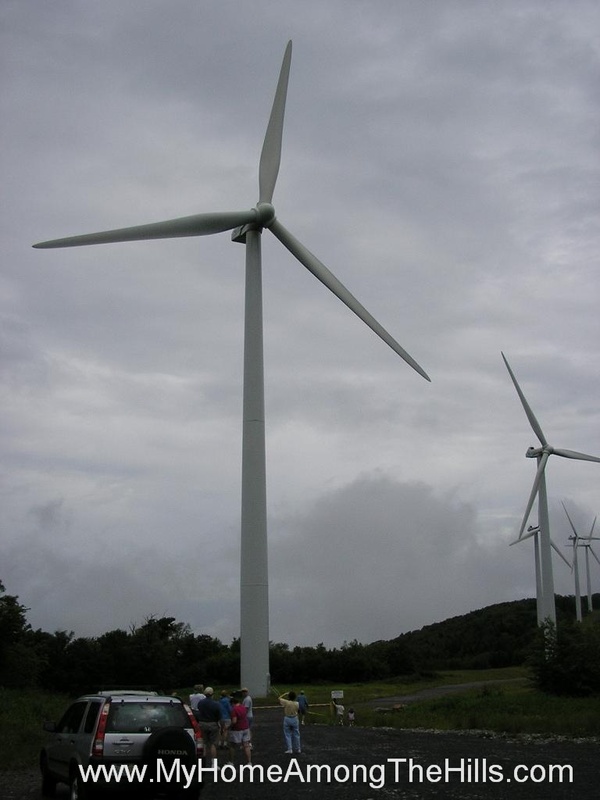 We took a vacation trip to Canaan Valley 2 years ago and were able to see some wind turbines up close and personal. They are incredible and massive and pretty neat landscape features actually…sort of like flowers springing from the mountain tops. Of course, I don’t live super near them but I certainly liked seeing them in action. 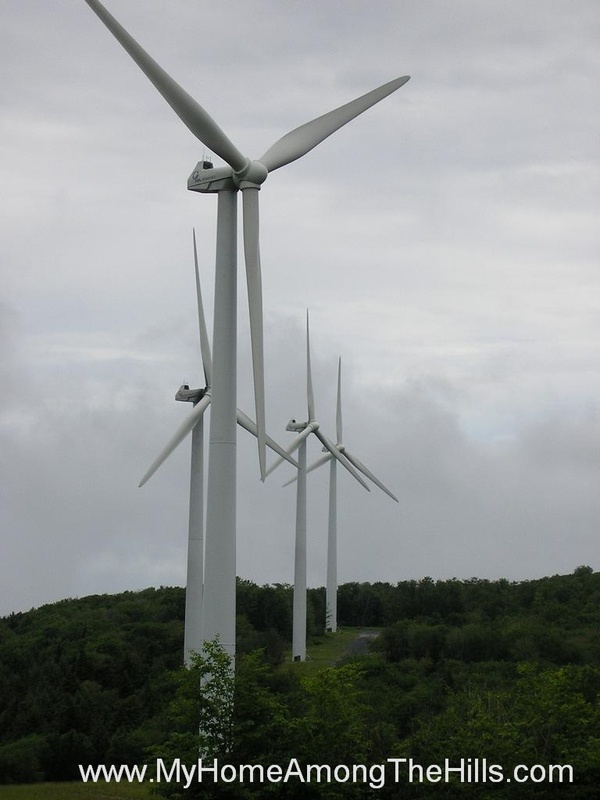 The Eastern mountains of WV are a great location for wind turbines and I am so excited to be able to buy power from them or similar sources. WV is very much a coal state and that is fine (though I think mountain top removal is despicable), but I am particularly excited to be a part of helping to make WV an energy state. We can make clean energy here. So, we are planning to purchase RECs to offset our power consumption and make our stay on the 3rd rock from the sun a little cleaner. We currently average 1447 kwh per month so we will purchase to offset that. Our next goal, then, is to look around our house and find ways to reduce that number. Our hot water and oven are electric and I am not compelled to replace those items. We will likely have to address our normal patterns of usage and look at our other appliances as well. It should be interesting but will pay off!